HABIT: Deciduous, rounded crown, has beautiful 3-inch-wide, tri-lobed leaves, glossy green above and paler underneath, which turn various shades of red, orange, and yellow in the fall. Flowers are bright yellow and showy in the spring. 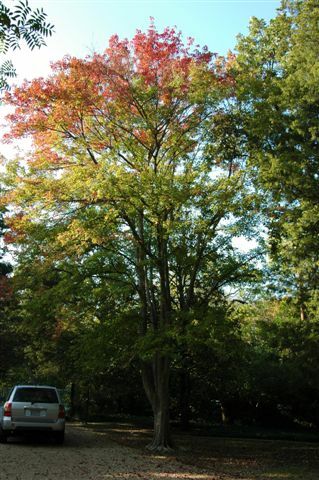 Trident Maple naturally exhibits low spreading growth and multiple stems but can be trained to a single trunk. Moderate growth rate, attractive orange-brown peeling bark,. Crown form is often variable and selection of a uniformly-shaped, vigorous cultivar is needed. The trident maple is a very popular species for bonsai, due to its small, three-lobed leaves, a readily-thickening trunk, and thick, gnarly roots which adapt well to root-over-rock style. CULTURE: Easy maintenance - water moderately in summer, easing off in winter. Normal fertilizing. Seeds need to be stored refrigerated. 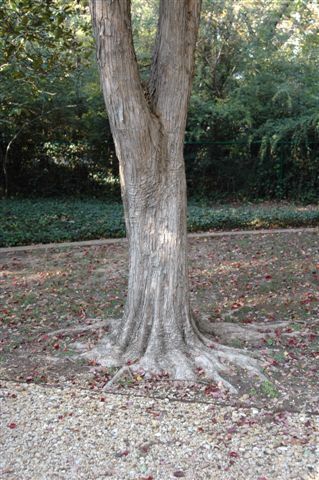 USES: Popular as a patio or street tree and is also highly valued as a bonsai subject. PROBLEMS: Branches are somewhat brittle. Trident maple very healthy due to root flare.